Our experts can ensure your hard drive recovery efforts are successful! If your hard drive has crashed and you can’t recover files, images, videos or other data, you need to hire a data recovery expert. Our experts work in a certified clean room that allows us to recover your hard drive data in a clean environment. Hard drive recovery is not an easy process. First, we must remove your hard drive from the computer, examine it and then diagnose the problem causing your hard drive to fail. Hard drive recovery can restore files that were previously thought to be lost. Our experts can restore files, images, videos, PDF’s and other data that you need. We help companies, governments and individuals with their hard drive recovery needs. Finding a hard drive recovery service can be time consuming. There are a lot of companies who offer cheap rates but aren’t very good at recovering all the data on your hard drive. Our experts are leaders in this field and have the experience needed to ensure your data is recovered. Hard drive recovery service can take as long as 2-4 weeks using our economy service or as little as 1-2 Business days using our emergency service. Turn-around time will affect the overall cost of the service. Hard drive data recovery starts with mailing us your hard drive. If you can’t remove your hard drive yourself, you can simply send us the CPU and we can remove it for you at no additional cost. Once we have your hard drive, we can recover the data from it in one of our clean rooms. Clean rooms prevent dust and particulates from corrupting your Hard Drive. Hard drive data recovery requires an expert. Our experts are trained to recover data from your hard drive. 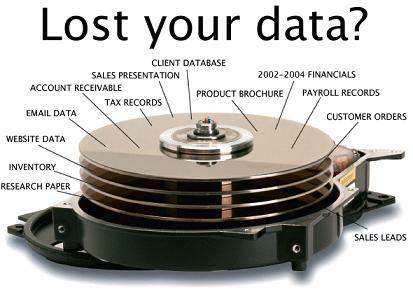 We will recover all the data we possibly can from your hard drive! When estimating your hard drive recovery cost, it’s important to know what factors come into play when pricing is concerned. The first thing to consider is the desired turn-around time. Our economy option will get you your data in 2-4 weeks. If you need it quicker, you can opt for our expedited option which takes 2-4 business days. Our emergency service will get your data back in just 1-2 business days! The next factor in calculating your hard drive recovery cost is the type of device your hard drive is in. Laptop hard drives and desktop hard drives cost $399 to $699 each. External hard drives start at $499 and goes up to $799. The amount of memory your device has also influences price. The more memory your device has, the more expensive it will be to recover your data. Use the custom quote calculator below to figure out your hard drive recovery cost. Use the form below for a free no-obligation hard drive recovery quote!